Excellent product for the mile run, mileage running programs, and fund raisers. 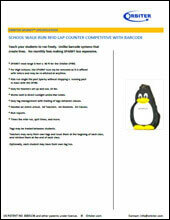 The only lap counter with free flow automated timing of Students. Patented electronic wrist band technology with no batteries. 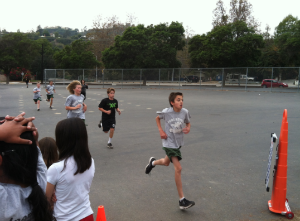 Students run freely past at distance and in large groups. Each are counted magically. Your kids deserve to Run Free. No waiting in line to be scanned. No student information goes to the cloud or internet. You the teacher controls all information on your laptop computer only. Orbiter system is liked for privacy. Option: You the teacher can see on your cell phone result live. This is done with direct communication from your laptop to your phone securely and not using the Internet. 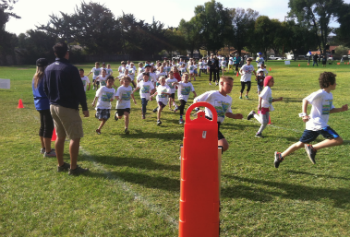 Schools can use the system for (1) Physical Education, (2) PTA / PTO fund raising, (3) cross country, AND (4) interval track training for the 220 and 440 races. Teachers track students’ laps automatically and get physical education results in real time from a tablet with the option to download to a computer later. Orbiter provides great motivation for kids. Students are motivated by the ‘magic’ beep as they pass our Spire RFID reader. There are no handheld devices that go missing, or photo capture delays. 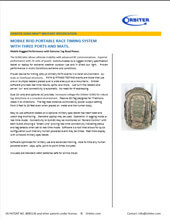 Tag detection at 20 feet distance and at the speed of light. Over 250 students may be detected per second. 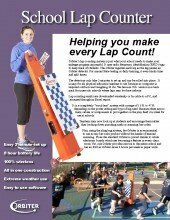 Excellent for training and conducting the mile run test without line ups. Orbiter allows use of a “Start Tag” to make your testing easy. Plus, automatically captures lap counts and split times. Using our unique “reprocessing” feature you can test groups with back to back tests using the same tags traded by roster number. All this with just 4 key strokes. New for 2017 – multiple teachers may manage their own classes with their own Tablet communicating to one Orbiter! Each Teacher sees their own class event though hundreds of kids from many classes pass the one Orbiter. 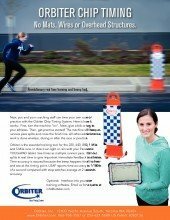 Orbiter is the only company with this innovation in the world today. 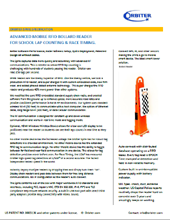 This functionality was requested by large schools with many physical education teachers. Orbiter is economical since the Net Present Value of the system is similar to other systems. Only one Orbiter is needed per school which also provides economy. Just three actions to remember for success: (1) Turn the Orbiter “On”, (2) know who you gave the tags to, (3) and make the Orbiter “Beep” with each pass of the student. 100% your run results are safe. 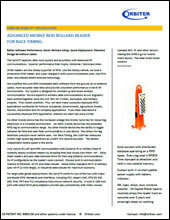 Software administration can be done after the fact. “We just finished our annual Walkathon and it has helped us raise $ 300,0000 these last 5 years! Kind Regards a Very Happy Orbiter User, Kevin Flurry Director of Development Pan American Christian Academy” Sao Paulo, Brazil. 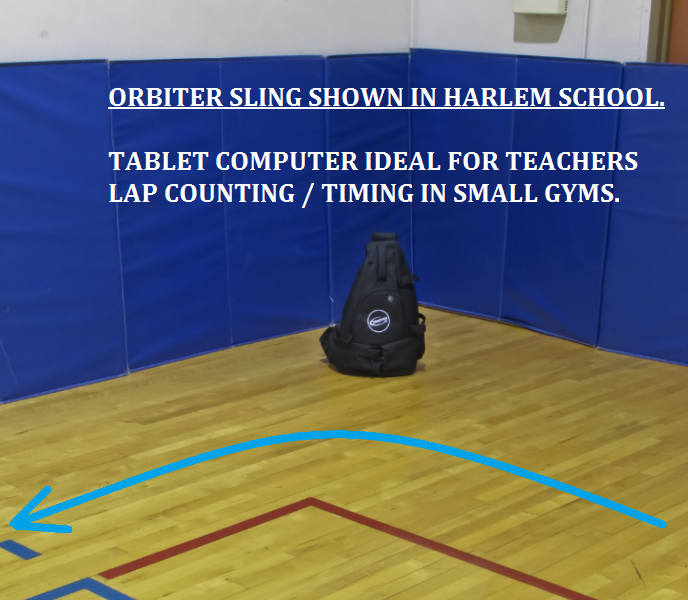 Making Orbiter work for school physical education is as Simple as 1, 2 3 ! 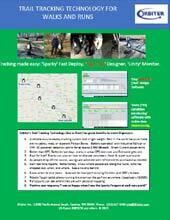 Collect the tags by roster number order, then re-issue to the next class period.